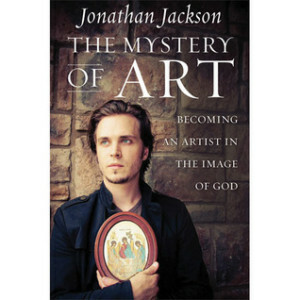 A month ago today I introduced Jonathan Jackson’s book, The Mystery of Art, in my Faith on Friday post. This morning I picked the book back up and continued reading in his chapter on “Art as Listening.” This appealed to me because of the circumstances I’ve found myself in the past few days. My husband is out of town. I had plans to host a women’s event last night, and four out-of-town friends were driving to Memphis from Mississippi and Arkansas for the event. The guest rooms were ready. The menu was set. Name tags were printed and other responsibilities were put aside for a few days. And then the winter storm changed everything. The event was cancelled. My friends weren’t able to safely navigate the roads to Memphis. I found myself disappointed and alone, and faced with some choices. What would I do with these days that were suddenly “available” again? Artists were created to be listeners, and the noise of the world can easily drown out what they are listening for. Silence teaches the artist to listen—it creates space inside of him to discover secrets and encounter mysteries. Silence breeds humility, and humility breeds true confidence. Silence teaches the artist how to tell the truth. It allows him to be in awe of something other than himself. The artist’s words and deeds become authentic and purified only when they become manifest out of his inner communion with God. The artist’s words, songs, or paintings must be birthed out of silence if they are to carry the creative and spiritual weight he desires. In a practical sense, this teaches him that the outward expression of his art is always the result of his internal life. Silence is the food of the artist’s interior life. So now I have this one more day to write and paint and pray, if I chose, in silence. I welcome it as a gift. The gift of silence. Thanks so much, Karissa… especially for the link to Shelia’s blog. Synchronicity!